Are you tired of your dated 1980’s swimming pool tile? Is your home or businesses pool in disrepair? Perhaps it’s time to refresh the look of your backyard by remodeling your home’s swimming pool. If you are ready for a change, but don’t know where to start, the process of finding a reputable pool contractor can seem like a full time job. With a large variety of pool contractors to choose from, where do you start your search? The Find Local Pool Remodeling / Renovation Directory helps you find reputable local pool contractors in your area. Let our directory easily direct you to local pool contractors who provide high quality pool remodeling and pool renovation services. The Find Local directory is committed to finding service providers in your area who are eager to earn your business and contractors that provide high quality swimming pool renovations. 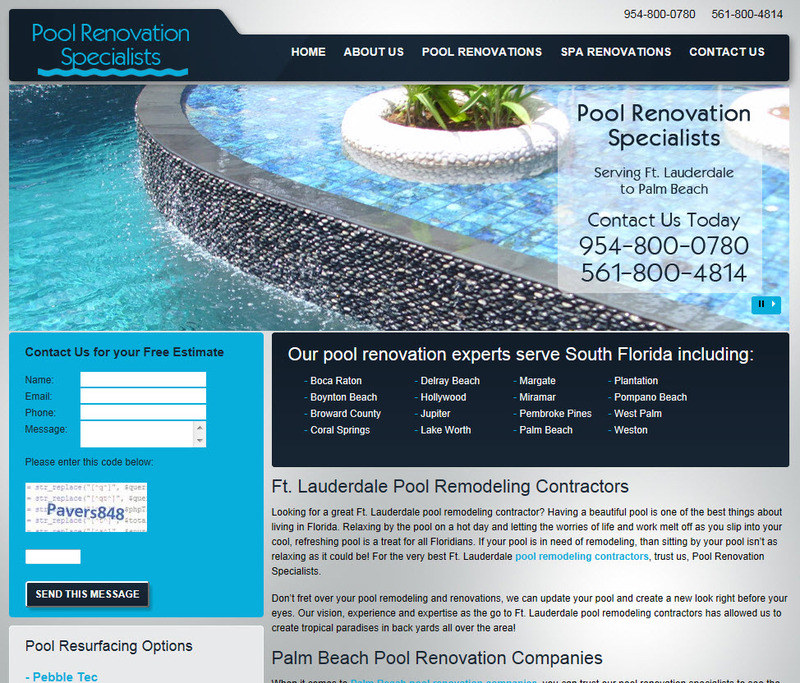 We have designed the Find Local Pool Remodeling / Renovation directory so it’s easy to use. Click on our clutter free page, to find a swimming pool renovation or swimming pool remodeling company near you. At Find Local, our goal is to make your search for a swimming pool renovation contractor as simple as possible. The pool contractors listed in the Find Local directory are committed to building their business in your area and serving your pool renovation needs. You can feel confident in the renovation companies listed in Find Local. Is your outdated swimming pool holding you back from transforming your back yard into the ultimate "staycation" destination? If it is time to update your swimming pool, let Somar Pools be your Ft. Lauderdale pool remodeling contractors of choice. 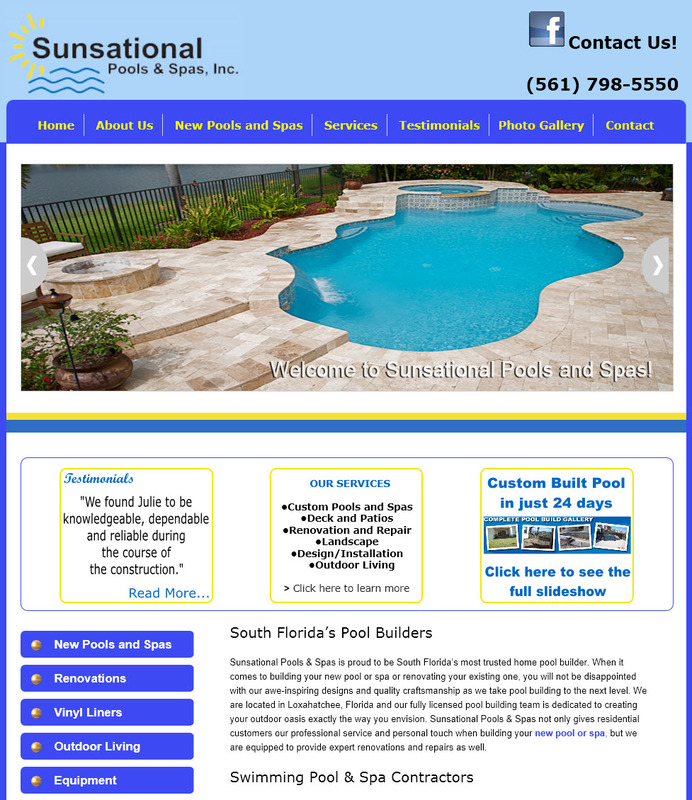 Sunsational Pools & Spas is your most trusted source for pool builders in Jupiter. Our pool builders stand behind our company promise to provide each customer the professional service they need with the personal touch they deserve while building your new pool or spa. We bring over 25 years of first hand experience and knowledge in the pool building industry, ensuring our pool builders can consistently exceed your expectations. From designing, permitting and construction to the final inspections and finishing touches, Sunsational Pools & Spas pool builders will stay personally involved and have your new custom pool project complete in as little as four weeks!